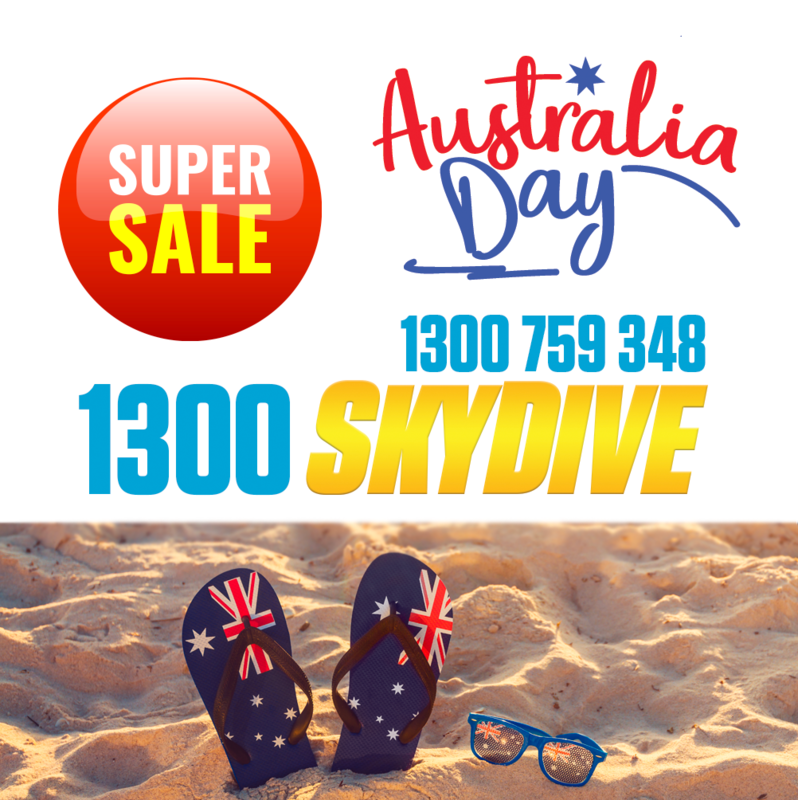 Tandem Skydive Special - Australia Day Weekend. Tandem Skydive any day over the Australia Day weekend or week for the great price of $239 nothing extra to pay up to 14,000ft skydive. Stunning Beach landing Tandem Skydive and panoramic ocean and beach views. If you need free transfers from Brisbane or Noosa please choose our free shuttle product.